Sasha Souza grew up in the San Francisco Bay Area and cultivated a background in theater arts before starting her first event planning business. Since 1995, she has planned hundreds of weddings & social events. She is also a featured event planner in numerous wedding magazines and blogs as well as having been a planner on the Style Network TV show “Whose Wedding is it Anyway?? ?” Sasha and her work are frequently featured on television programming including CBS “Early Show”, ABC’s “Primetime” wedding series special, “Inside Edition”, “Eye on LA”, and “In Wine Country”, “Get Married” and on “Marcel’s Quantum Kitchen” for SyFy, among other shows. 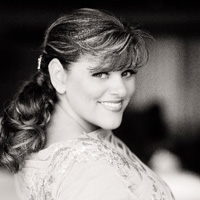 Sasha has shared her expertise with colleagues and brides around the world. She got her start with speaking engagements when she was a featured celebrity speaker at the Conde Nast Bridal Group’s Wedding March – part of the March on Madison series. She is now a regular speaker at The Special Event Show, Catersource and The Rental Show Conferences and is an active keynote speaker for events around the world. Her speaking engagements have taken her all across the United States and internationally to Canada, Mexico, Turks & Caicos, Japan, Trinidad, the Bahamas and South America. All to educate her peers & couples about the hottest trends in wedding & event design. She was honored by Modern Bride Magazine as one of the first Top 25 Trendsetters in the wedding industry…the only planner in the San Francisco Bay Area to ever receive the honor. She was also a member of the prestigious advisory panel. Sasha Souza is a Master Wedding Planner, one of just over 60 in the world, and a distinguished member of the Association of Bridal Consultants (ABC). Currently, Sasha sits on the advisory board for Catersource Conference & Tradeshow. Sasha believes strongly in giving back to the community that has provided so much for her. From 2008 – 2012, she was the Events Chair for the SEARCH Foundation and served on the Executive Committee. SEARCH helps event industry peers who are faced with catastrophic loss & illness. Sasha was also the Founding President of the National Board of Directors for Wish Upon A Wedding from 2009 – 2013. Wish Upon A Wedding is the U.S.’s only wedding wish granting non-profit for couples facing terminal illness. Sasha published her first book in January 2010, Signature Sasha: Magnificent Weddings by Design. Her second book, Signature Sasha: Weddings and Celebrations to Inspire debuted in January 2015. Are you an event industry creative looking to expand or redefine your brand? Sasha now offers the Consultancy for Creatives!